People having a business based on transportation, require a truck that’s ready for them always. If you cannot afford a brand new truck and looking for a used truck, leasing will be your best option. 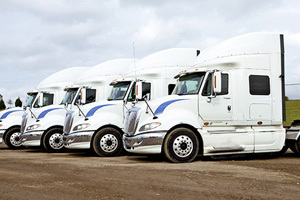 There are numerous truck leasing companies in Toronto that have a fleet of trucks in great condition. You can lease any truck, anytime according to your business needs. However, if you want to purchase a used truck, there are some things that you must take into account. Before bidding at an auction, you must inspect the entire vehicle meticulously either by yourself or with an experienced truck operator or a trusted mechanic. Transportation business involves the transportation of bulk cargo from one place to another. So, you need to make sure that the truck is able to carry the weight of your typical cargo. The truck must have enough horsepower and capacity to serve the purpose of your business. It is recommended to also check the transportation regulations as some may have restrictions for certain axle configurations. Even if you have less experience in repairing the cars and trucks, you’ll likely be able to check the engine for a few things. Firstly, turn on the engine. If you hear some weird sound, there is definitely something wrong with it. Also, look for leaks, as these can be costly repairs for you. At this point of your inspection, it’s been a few minutes with the engine on. Now, look up at the exhaust pipe, make sure it is not emitting any smoke at this time. If it emits white smoke, it is a signal that the engine is burning oil, which might not meet the emissions standards. Mileage also plays a vital role in deciding the condition of the used truck. If you are buying a truck with 400,000 to 500,000 kilometers, it indicates that there is some wear and tear on the truck. However, with proper maintenance, you can surely get a great deal. It is advised to buy an out-of-frame or in-frame overhaul in order to give your truck a boost in performance. The maintenance logs will tell you about the actual condition of the truck; how well maintained it was. Periodic oil changes, replacement of air filter and brake pad, and other trips to the mechanic will ensure that necessary repairs were made in order to maintain the pristine condition of the truck. Consider these points to ensure you buy a used truck that lasts. If you want to know about truck or trailer loans in Toronto, contact Canada Equipment Loan. We are Toronto’s trusted truck loan experts.